Monitorji in snemalniki 75 izdelkov. Atomos Accessory Kit - na zalogi! Atomos Ninja Inferno (travel case), ko vidiš kaj se snema.Unlock Hollywood Monitoring & Recording from any HDMI device with Ninja Inferno. 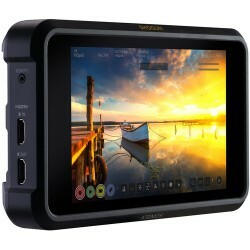 Atomos SHINOBI 4K HDMI Monitor, HDR Monitor, DSLR Monitor, 5"
WORLD’S FIRST ALL-IN-ONE 4K/HD, 2CH, DUAL 7” 3RU RACK RECORDER, MONITOR AND PLAYBACK DECK. Video Assist: Add professional monitoring and broadcast quality recording for any camera or DSLR Includes 5” full HD touchscreen monitor with built in ProRes and DNxHD recorder. 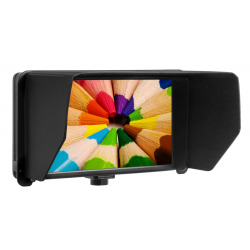 Datavideo TLM-430 4.3" LCD Look Back Monitor, with enlarged BI Color Tally light. 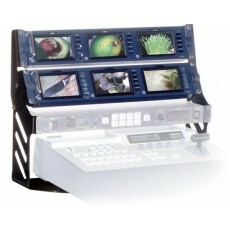 Two Cvbs video inputs: one for camera and one for return (live) feed from siwtcher, resolution 480x272 LCD, active matrix. 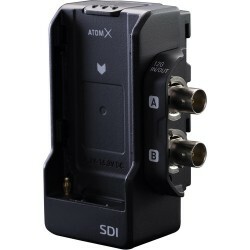 Datavideo TLM-700HD V-mount High res. 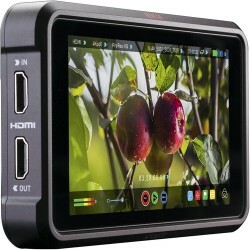 7", 16:9 LCD/TFT monitor. 4:3 ratio compatible. Panel resolution: 800x480Pixels. LILLIPUT 569GL-50NP/HO/Y The 569GL-50NP/HO/Y is a mini but mighty 5" monitor packed full of features that is the perfect complement to a DSLR rig.